Rustic weddings are still very popular in 2018. 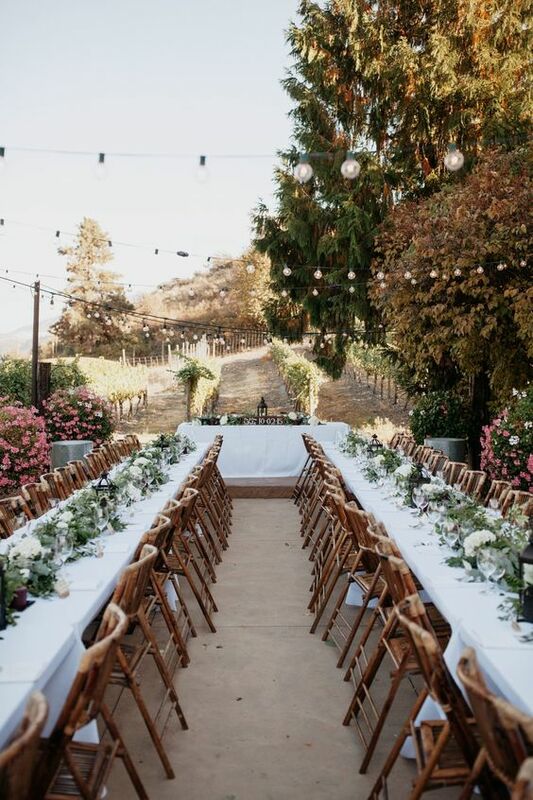 If you are planning a rustic wedding this year you will just love this post where we rounded up the best rustic outdoor wedding ideas that are simply romantic and elegant. Check out this rustic wedding that the bride put together on her own. Before we get started on the tips you can use to pay for a wedding, we wanted you to take the time to like our Facebook Page here! 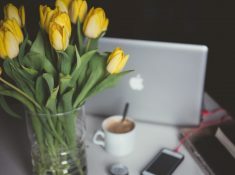 We also use affiliate links in our blog post which means we can make a commission if you use any of our affiliate links. We wanted to mention, when looking for rustic wedding ideas, consider your wedding venue. Ensure that your rustic wedding decorations match the look and feel of the venue. For more of this rustic outdoor wedding ideas to steal from, you can check out Robertson Photographer. 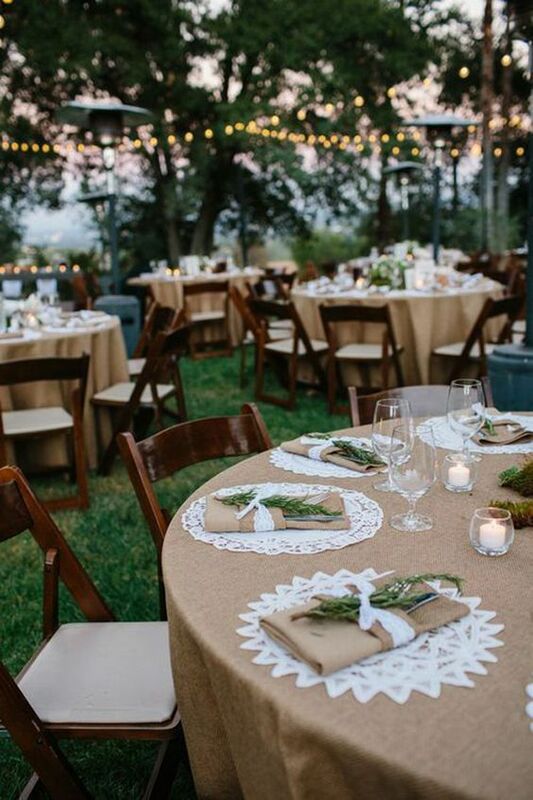 Totally in love with how simple the rustic wedding decorations are. You can totally grab some bottles from Amazon, add some of your own flowers (one stem in different colors) and tie it up to an arch with fish wire. Check out this Twilight inspired rustic glam wedding on Marry Me Tampa Bay’s site. 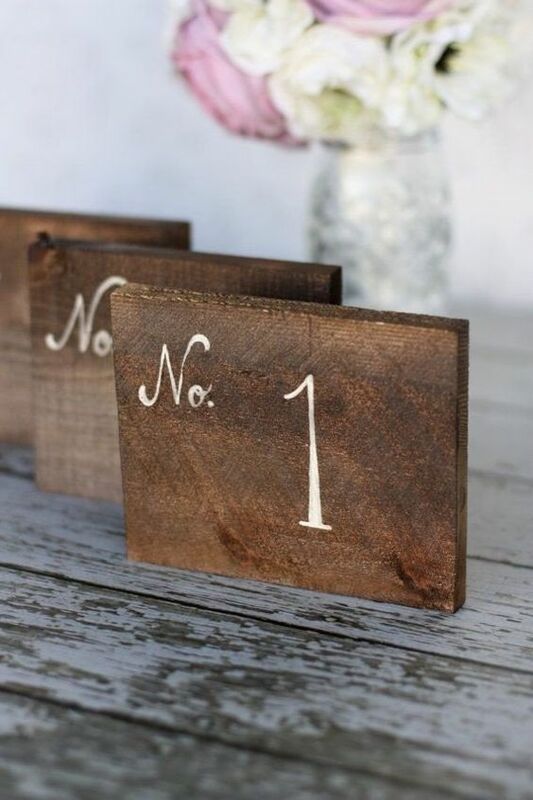 This rustic wedding sign is perfect for any outdoor wedding. 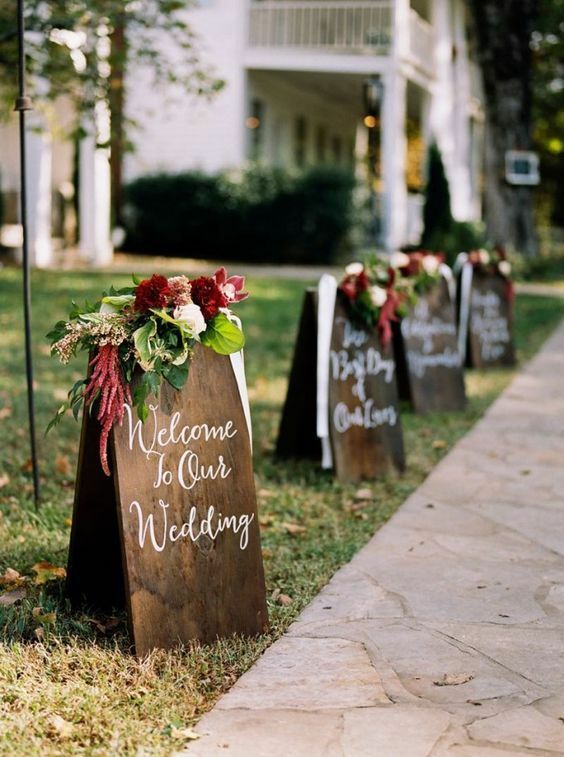 Wedding signs are essential especially when planning an outdoor wedding. 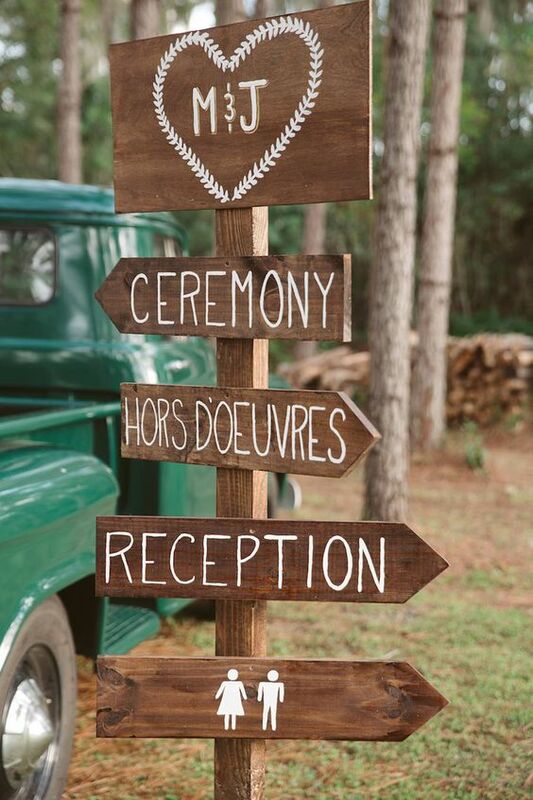 Totally in love with these rustic wedding signage which will fit well with your rustic outdoor wedding ideas. 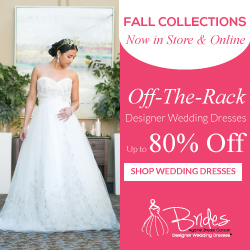 They are perfect for lining up your wedding aisle. The floral decor is simply fitting. 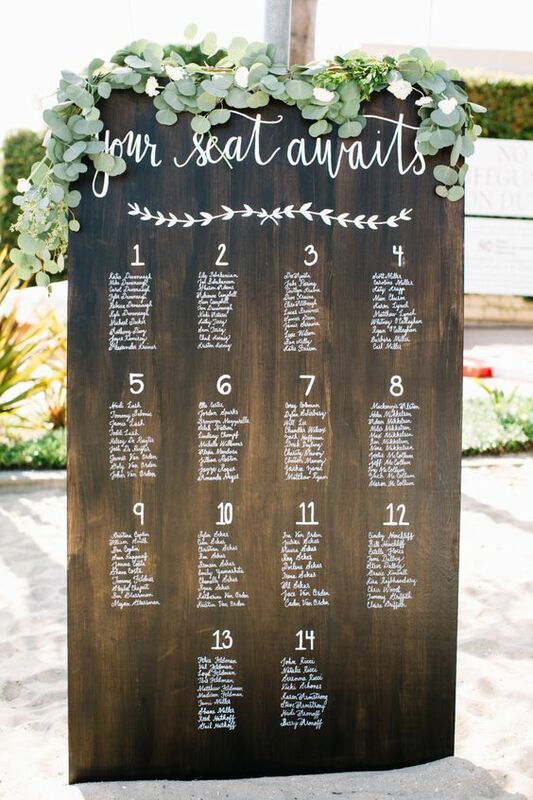 This alternative to a wedding guest book is perfect to include in your rustic outdoor wedding ideas book. To recreate this look, grab an old ladder, grab some natural twine, and tie it on the ladder as seen above. Use tiny wooden clothes pins to hold your engagement photos or photos of you two. 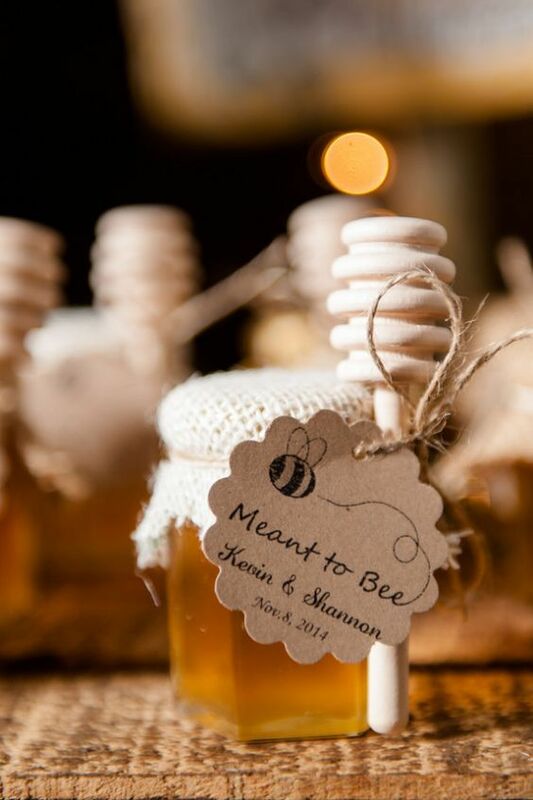 This gorgeous “meant to bee” wedding guest favor is extremely cute. You can find the full rustic wedding on Rustic Wedding Chic. For this look, grab these mini mason jars, and fill up with honey. Use pieces of burlap to cover the top. Then use the twine to secure the burlap in place. Don’t forget the honey scoop which is a great finishing touch. You can DIY the signs “Meant to Bee” with Zazzle. 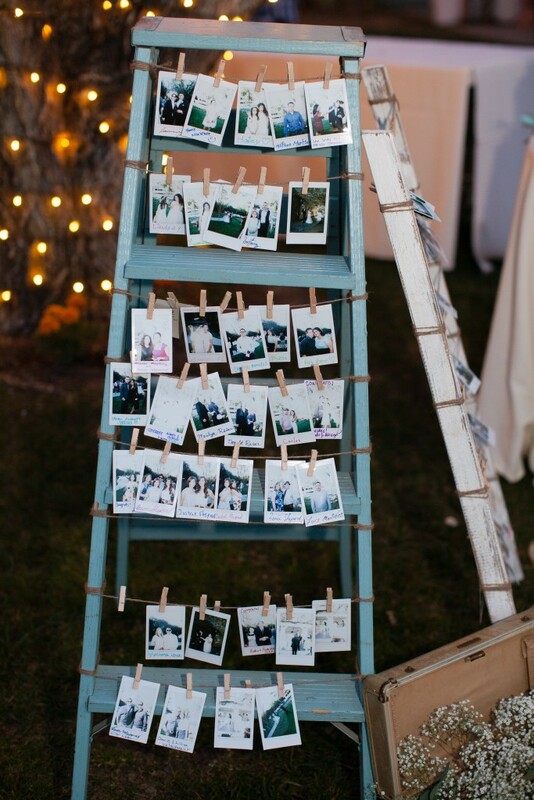 Loving our rustic outdoor wedding ideas? This rustic cake table is to die for. It is absolutely stunning. 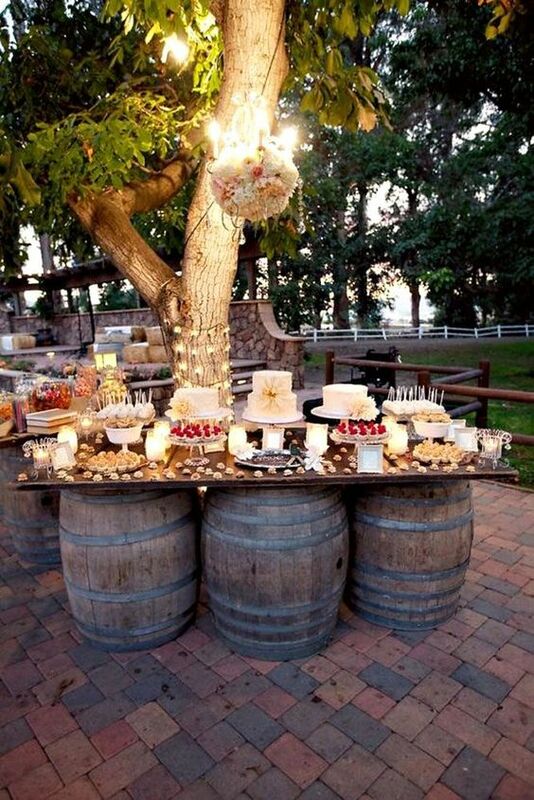 The wine barrels, complete the wedding look perfectly and is what every rustic wedding needs. Candy bars and dessert stations are my favorite at weddings. 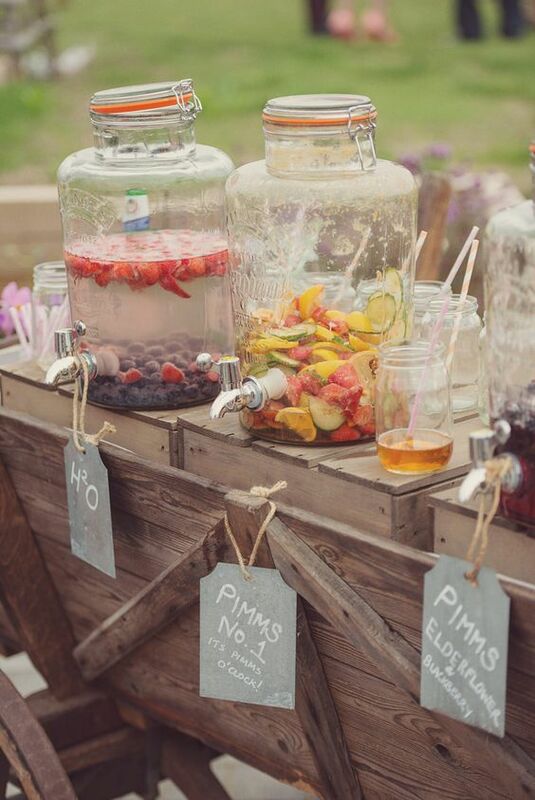 When thinking about your unique rustic outdoor wedding ideas, don’t forget the drink station. Especially if you are having a summer outdoor wedding. These lemonade dispensers are perfect for use during the cocktail hour. This marvelous DIY rustic wedding centerpieces idea is perfect for brides that are on a budget. The lace runner gives it a very feminine and romantic touch. 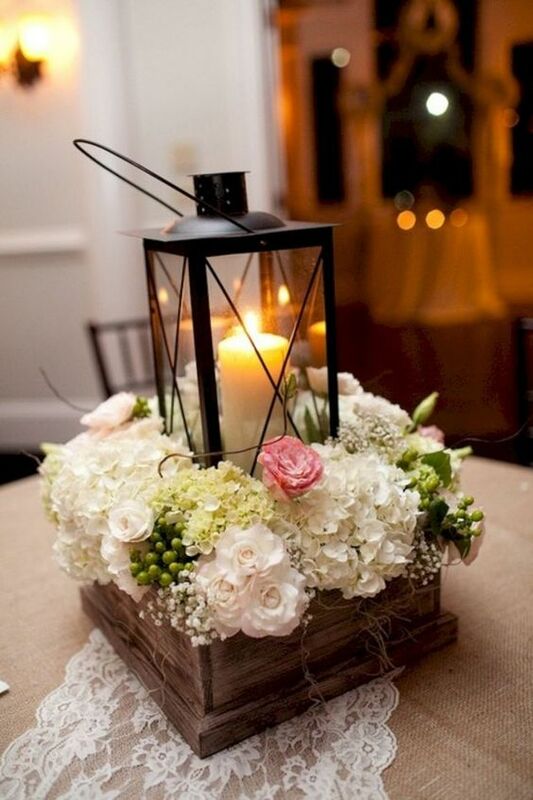 You can grab the rustic flower holder here and add lanterns with battery operated candles. Just make sure the candles can fit in the lanterns. Then purchase the wedding flowers wholesale and create the look. It will work well for any outdoor wedding ideas you may have. …Or a rustic wedding sign. This beauty was found on Style Me Pretty. What do you think of this elegant outdoor wedding reception decoration? This wedding found on Magnolia Rouge is stunning. Check it out for more rustic outdoor wedding ideas that you may love. 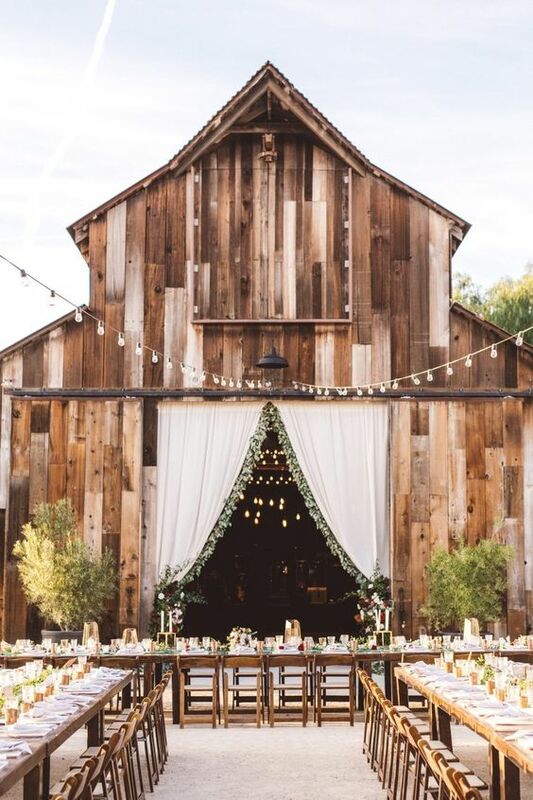 Another rustic barn wedding reception perfect for your rustic outdoor wedding ideas lookbook. This wedding is also on Style Me Pretty. 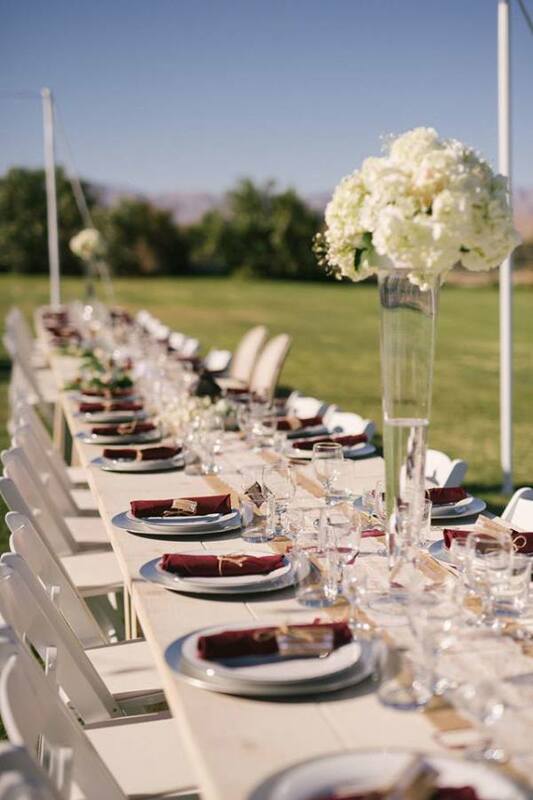 Style Me Pretty is full of outdoor wedding ideas you can use for your wedding. Completely love all the details in this wedding. 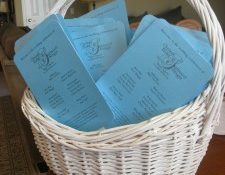 The napkins and the greenery just make this look so beautiful. Very little decoration used, but the complete look is stunning. If you want more rustic outdoor wedding ideas that are minimal and do not cost a lot, keep reading. 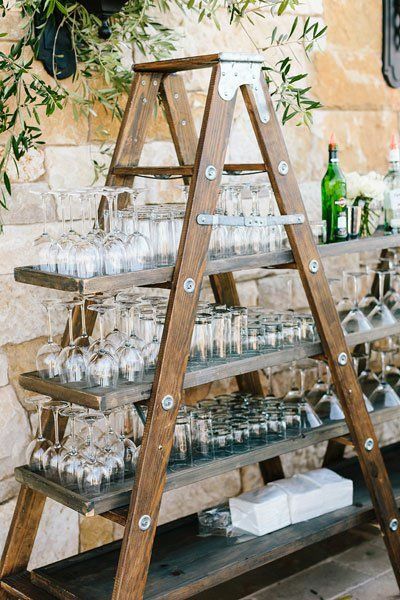 Just love this rustic wedding bar found on the Bridal guide. They have a lot more rustic outdoor wedding ideas that you may love. Check out the full post for amazing wedding inspiration for your big day. Outdoor weddings are extremely popular and if you are looking for more outdoor wedding ideas, don’t forget to hit up Pinterest. If you are looking for more rustic outdoor wedding ideas, check out Michael and Natasha’s outdoor elegant rustic wedding. 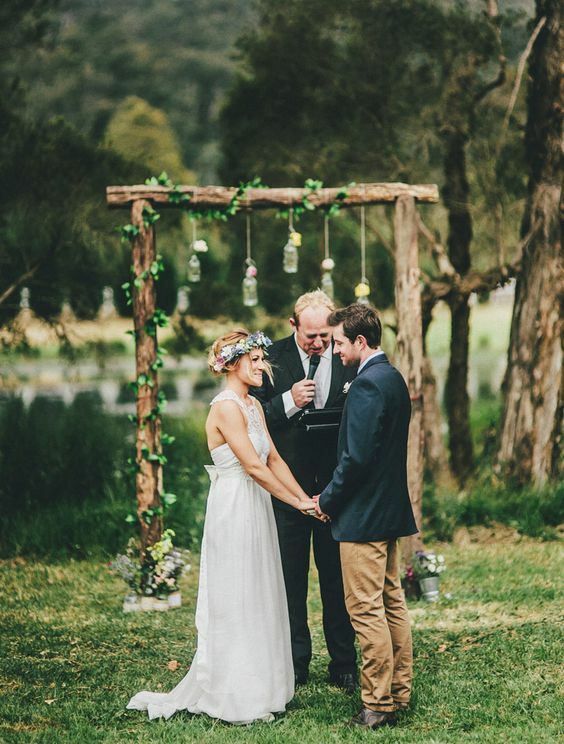 This wedding was featured on our blog and is a true element of a rustic wedding. Don’t forget to join our Wedding club for more tips on rustic outdoor wedding ideas.